I hope you all had a wonderful Christmas holiday! I was brave enough to hit the mall the day after Christmas, and bought a few outerwear pieces on huge discounts including the jacket above. 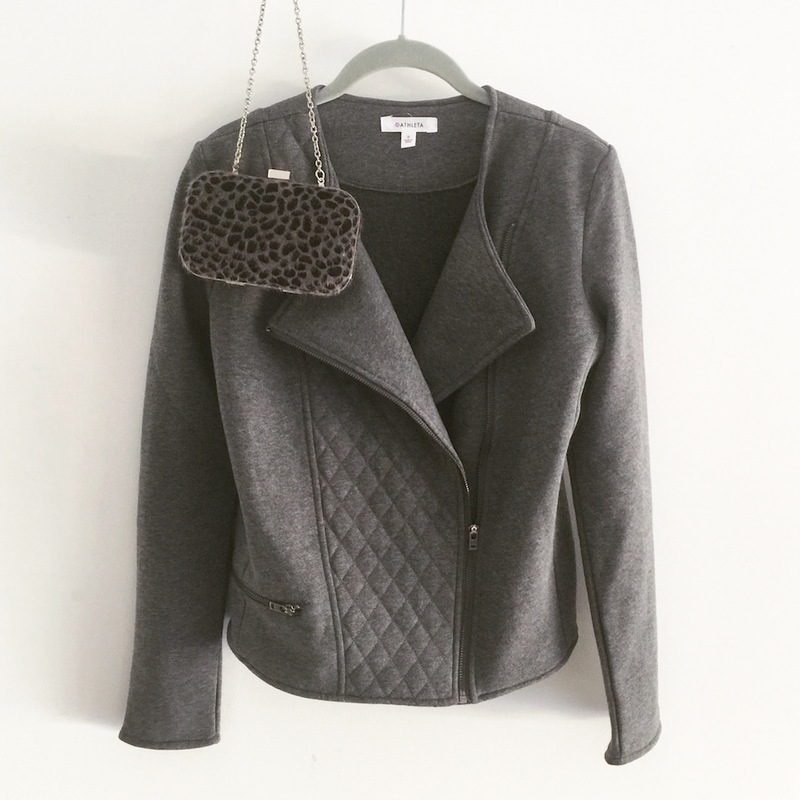 This gray knit jacket is super soft and stretchy for maximum comfort. Enjoy the cool biker-chic style ~ go from casual (with leggings & pullover) to dressy (with wide-leg pants & bow blouse) with ease. Grab yours on sale in gray or forest.